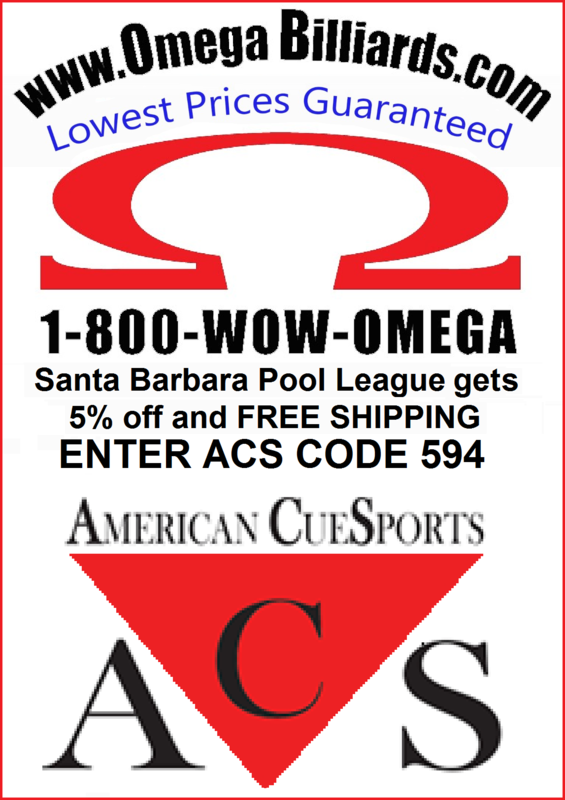 The Santa Barbara Pool League (SBPL) is a non-profit, Tuesday-night traveling 8-ball league. Teams consists of five players, and each player plays three games per match. Matches start at 7:00 pm and usually last 2.5 to 3 hours. The SBPL has a rich history dating back to the 1950's. The league plays mostly in bars, thus full-time players must be at least 21 years old. However, players who are under 21 are allowed to play in establishments that allow minors (e.g. Don Q's). There are two seasons, Winter and Summer. The Winter season starts in early October and lasts six months. The Summer season starts in early June and lasts three months. 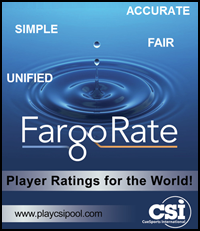 The cost to play is $10 per person per week. $1 of this fee goes to the home-team bar, and the rest goes to the league. 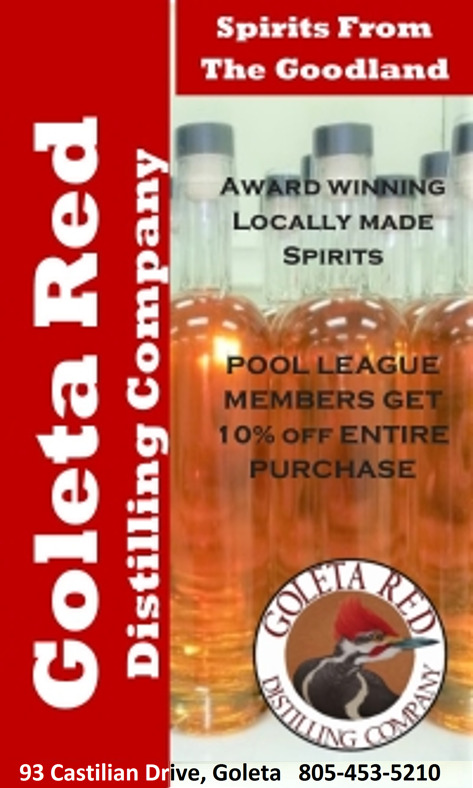 All of our sponsors currently offer league players one free drink on league nights. The free drink policy states that a player can receive one free drink that is equal to or less than the cost of a previously-purchased drink. In other words, a player cannot drink soda all night and expect to get a free shot of booze. At the end of each season the top individuals receive a cash payout. Players can compete in end-of-season tournaments for more cash prizes. League tournaments are free for all players. In the Winter season, the top teams receive cash payouts and compete in playoffs for more cash prizes. Trophies are awarded each season to the top teams and individuals in the league. The top shooter on each team also receives a trophy. Team photos are taken and each team receives a plaque with their picture on it. Trophies, plaques, and cash payouts are handed out at the end-of-season dinner, which is free for all league members. The Summer dinner is a BBQ, usually held at a local park. The Winter dinner is a banquet that is held at a local restaurant. About 90% of all money received is paid back to the players in the form of trophies, cash, and food. 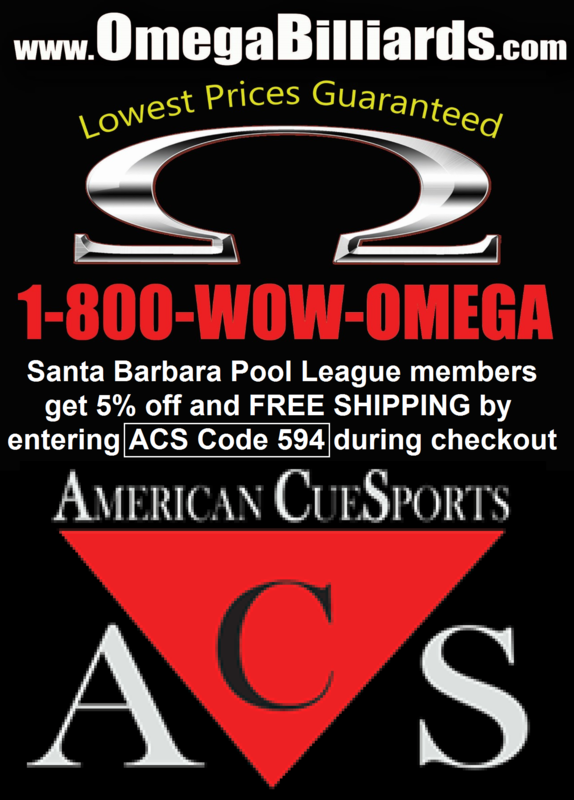 Starting in 2004 the Santa Barbara Pool League affiliated itself with the BCA Pool League (BCAPL), a national organization that holds a major tournament each May in Las Vegas. 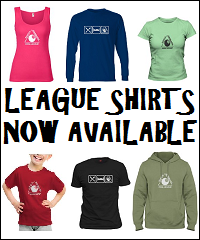 Each Winter season players must pay a $10 membership fee to join the BCAPL. Each player will receive a membership card, BCAPL rule book, BCAPL patch and pin. 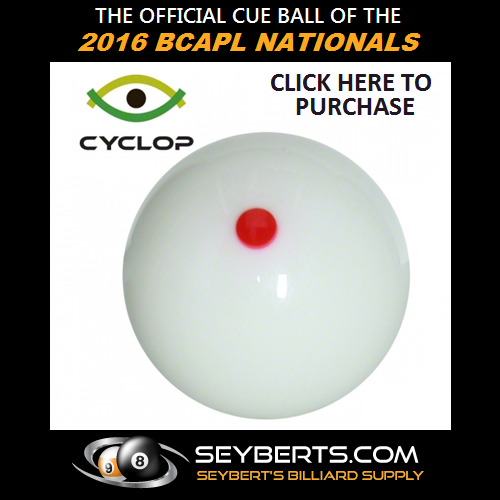 Membership in the BCAPL enables players to compete in the BCA National 8-Ball Championships. Players can join the singles, scotch doubles, and/or the team competitions. The Santa Barbara Pool League will pay some or all of the entry fee for any team that wants to participate in this prestigious tournament. 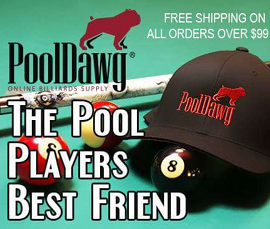 Come on out and join the greatest pool league in the world!!! For info on how to join, please see How to Join the SBPL.